What Is A Positive Cash Flow Property and Is It A Good Investment? 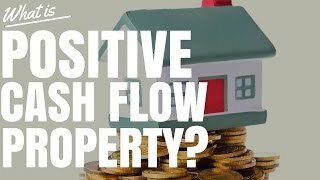 What Is A Positive Cash Flow Property and Is It A Good Investment? 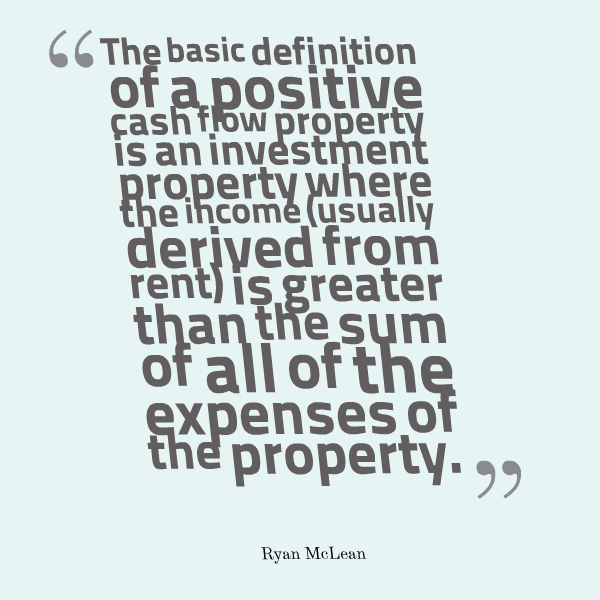 The basic definition of a positive cash flow property is an investment property where the income (usually derived from rent) is greater than the sum of all of the expenses of the property. This means that you are bringing in more rent each cycle (week/month/year) than you are paying out in expenses during the same cycle. So if you have a property that is positive cash flow then the rent is covering ALL your expenses plus giving you some money left over at the end to do with as you would like. Let’s assume you purchase a property for $500,000. You take a $400,000 loan on the property at 7% interest. This would bring your total expenses to $711/week. This means you would be earning an extra $89/week in positive cash flow after you had paid your expenses. Making this property a positive cash flow property. At the end of the year, the property would have generated $4,628.00 in extra income for you to use however you like. Where positive cash flow was when your income was greater than the sum of your expenses negative cash flow (more commonly known as negative gearing) is when your income is less than the sum of all your expenses. In a negative cash flow property, your rent does not cover all of your expenses. So you have to pay money out of your own pocket to maintain the investment otherwise you will go further into debt. Let’s take the same property purchased at $500,000 with a $400,000 loan at 7% interest. Assuming the same fixed costs (mortgage, insurance, council rates) and the same percentages of rental income for the other costs (property management fees, vacancy loss, repairs and maintenance). In the above example, you would have to pay $1,846/year from your own pocket to keep this property going. This will most likely have to come from the money you earn from your job but it can also be paid by adding extra debt to your mortgage. When most people speak of positive cash flow they are actually speaking of positive gearing. The two have slightly different meanings but have recently become interchangeable with one another. The differences only occur after we take taxation into account. Positive Gearing is exactly what we talked about above. Your property earns more money than you have to pay in expenses and thus generates you an income. As an income earner in Australia you are required to pay tax on any income you earn above a certain threshold. Let’s say you are in the bracket where you pay 30% tax. In the above example where the property provided us with an extra $89/week in excess income, or $4,628/year in excess income, we have to pay tax on that money (assuming no depreciation). Positive cash flow (technically speaking) is when the property actually makes an annual loss before tax is taken into account. However, after tax refunds are taken into account the property has actually provided a profit. This is done through an ‘on paper’ loss know as depreciation. You know how you might buy a car for $20,000 and in 5 years time it is only worth $10,000? That $10,000 loss in value is known as depreciation. Depreciation cannot be done on the land but it can be done on many of the fixtures and fittings in and on the property. Things like carpet, kitchen cupboard, light fittings, curtains and more all decrease in value over time. The building itself is also depreciable for a set period of time. When it comes time to do your tax you can actually claim this depreciation as a loss. Meaning on paper it looks like you actually lost that amount of money, when really it hasn’t actually cost you anything out of pocket. Let’s use the negatively geared example from above. Property purchased at $500,000 with a $400,000 loan paying 7% interest per year. Property brings in $650/week in rental income and our expenses total $685.50/week. So we are losing $35.50/week or $1,846.00/year. Bring in depreciation. Let’s say this is a new build house (which tend to allow for greater amounts of depreciation) and the value lost through depreciation for the financial year was $4,500. Now if we add that $4,500 to the $1,846 we had already lost for the year we stand at a total loss on paper of $6,346. If we work in a job and we are in the 30% tax threshold we can claim a tax refund on the loss of $6,346. Seeing as we only paid $1,846 in losses from our own pocket and we got a $1,903.80 refund back at tax time we are actually ahead by $57.80! That means that after tax the property effectively delivered us a whopping $1.11/week in positive cash flow. That is the technical definition of positive cash flow. EARLY 2016 UPDATE: This process of getting a tax refund only occurs because losses in property investments can currently (in most cases) be offset against your regular taxable income. They are talking about introducing new tax laws to stop this from happening. All positive geared are also positive cash flow but not all positively geared properties are positive cash flow. So a positive cash flow property is ANY property that delivers a positive cash flow after tax but a property must generate a positive cash flow before tax to be classified as positively geared.